Linda, this lovely experience happened to me recently; except that I didn’t get the picture I was hoping for. I’m not sure if it was a loon or not since I was too far away. another set of loon pictures with a u-tube of their call. Thank you so much lavendermoongirl! What a lovely name for a blog. Beauty is constant. Our awareness of it comes and goes…..
How true John. How wonderful it would be to see it everyday. thank you djmrakiey. These birds sure are hard to capture! You really have to spend some time. Early morning is best. Lovely writing and expression of what many of us feel as we spot these fowl friends returning. Great photo. thank you Sue. I am still waiting to hear the loons! Whenever I see them they’re just fishing. Thank you Maryse! These are the hardest waterfowl for me to capture. They’re really elusive and stay far away from the shore. This one was so close, it was really a miracle. Actually a loon composes a genus family and order all their own. They are considered aquatic birds. They are so cool! I love seeing them. And when they do their mating dance, they spread out their wings and give a haunting call. I sure hope I get to see that this season. So far, they have just been fast silent swimmers! as you so aptly said. 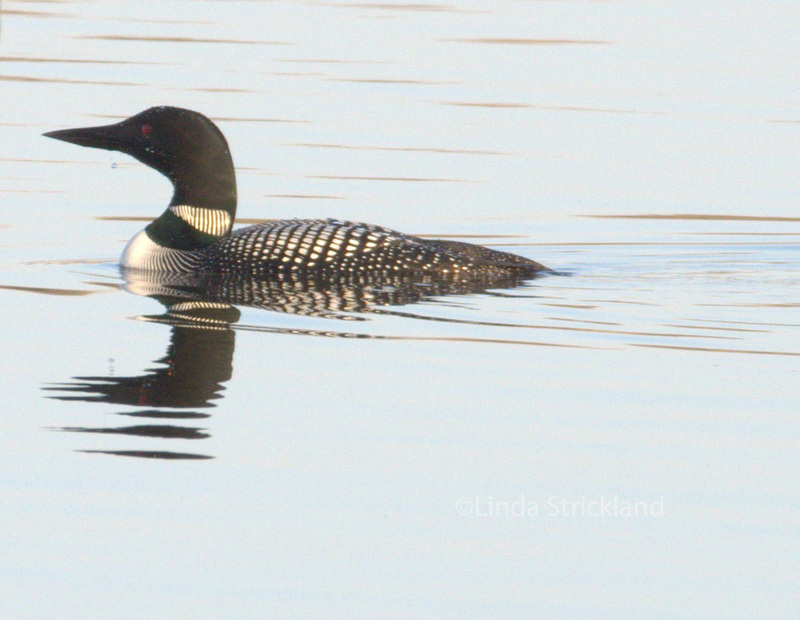 If you’ve seen the movie “On Golden Pond” with Jane Fonda and her father, the loon call is in that movie.